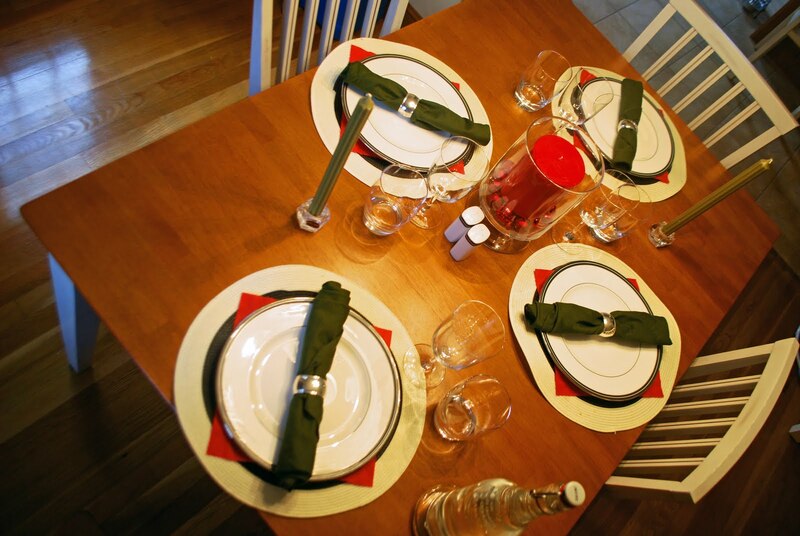 My husband and I were excited to host Christmas Eve Dinner this year; we had my parents over for a wonderful holiday dinner. We made a delicious meal of roasted pork, potatoes gratin, and roasted asparagus – everything came out fantastic I just had to share the recipes! This menu would be great for any winter dinner party, the recipes are all relatively simple (stuffing the pork is a little tricky) and will please most guests. And note, I of course had to create a festive table setting with red and green accents with my usual black and white china. 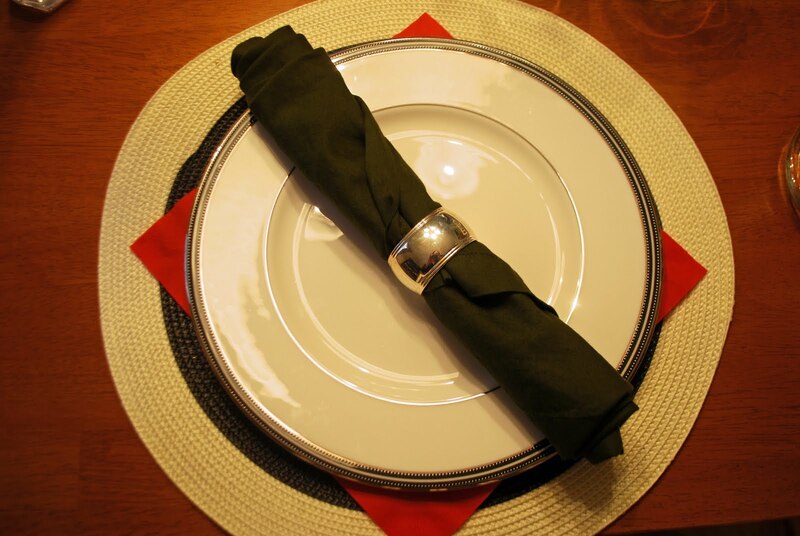 Closer-up of the place setting: I used an unfolded paper red napkin to add a hint of red to the mostly green and black table setting. Heat oven to 375°F. Soak raisins in cup wine for 10 minutes. Combine raisins (including wine not absorbed), apples and cinnamon in a bowl. 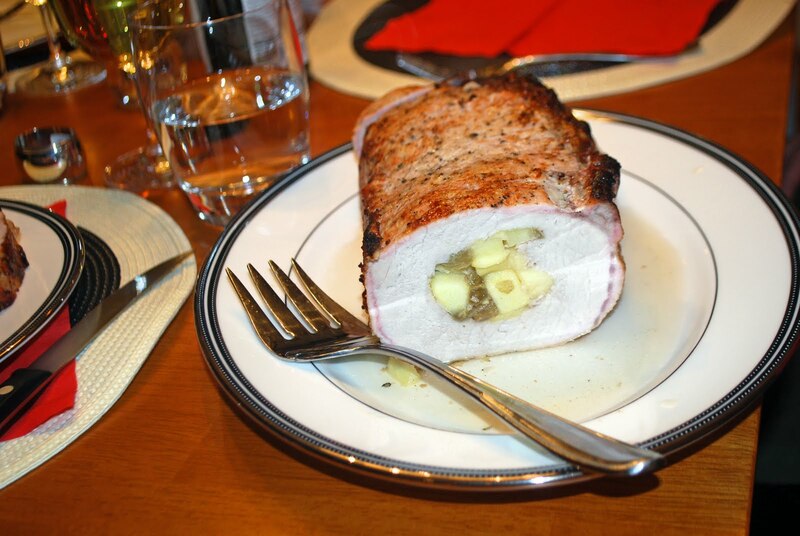 Fill pork-loin cavity with apple-raisin mixture. Season pork with sea salt and pepper; set aside 15 minutes at room temperature. (If loin splits, tie with kitchen twine.) Meanwhile, coat a roasting pan with cooking spray and heat over medium-high heat. Sear pork on all sides until golden brown, about 4 minutes total, turning frequently so it doesn’t stick. Place onion, carrot, celery, rosemary and apple peels and cores in pan; place pork on top. Cook 25 minutes or until pork reaches 150°. While meat cooks, reduce vinegar and remaining 1/2 cup wine in a small saucepan 15 to 20 minutes on high heat until thick and syrupy. Remove pork from pan; let rest 10 minutes. Slice pork and divide among plates. Drizzle reduction over pork. Preheat oven to 375 degrees. Rub a 2-quart baking dish with garlic, then lightly butter. 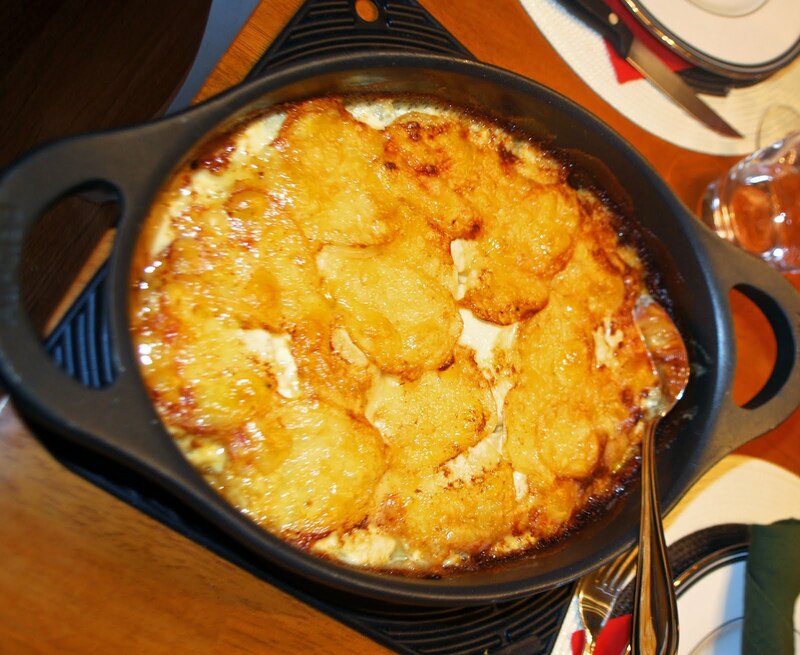 Layer potatoes in dish, overlapping slightly. 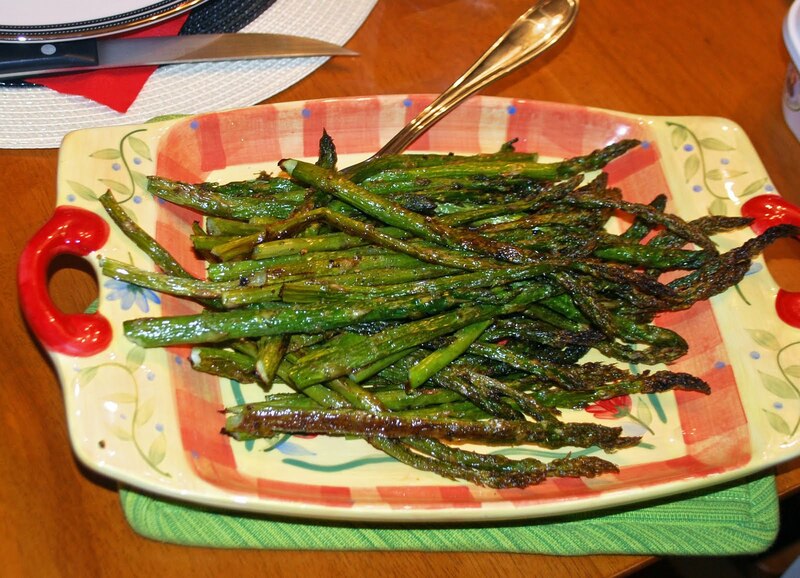 No recipe, we just cut off the end of each asparagus, drizzled olive oil and s&p on top and roasted on a sheet pan for about 15 mins or until desired tenderness is reached. *note – we made a Panettone Bread Pudding for dessert that was so amazing, it disappeared before I could take a picture! I included the recipe below. Soak raisins in hot brandy 15 minutes, then drain. Meanwhile, butter panettone on both sides and cook in batches in a large heavy skillet over medium heat until golden brown on both sides. Tear panettone into bite-size pieces and spread evenly in a buttered 13-by 9-inch baking dish. Scatter raisins over top, then pour in egg mixture. Let stand 30 minutes. Preheat oven to 350°F with rack in middle.Bake until pudding is golden and just set, 35 to 40 minutes. Serve warm or at room temperature. We served warm with a scoop of vanilla ice cream. 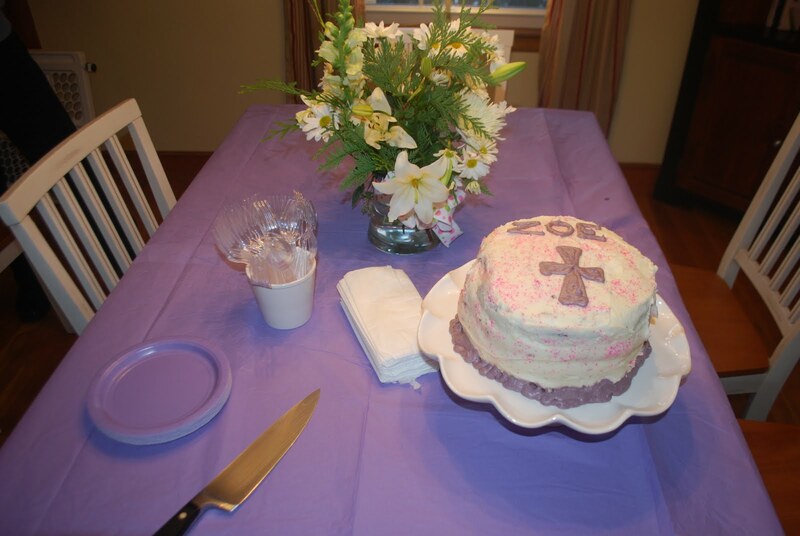 We hosted a small gathering this weekend for our baby girl’s Christening. 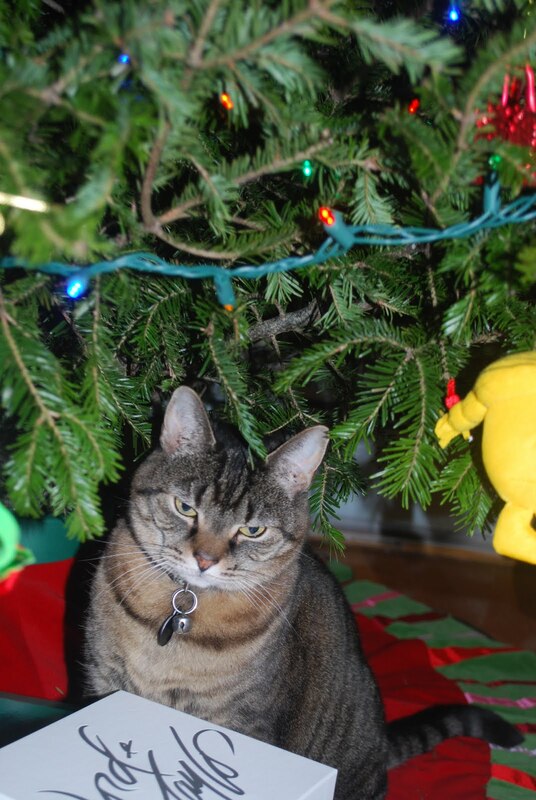 Since we are right in the middle of the hectic holiday season and everyone is so busy (including us!) we decided to make it easy on ourselves and go out to a restaurant for brunch with our group. To personalize the table at the restaurant, we made cute little party favors – they were so simple yet added a nice touch to the restaurant table, I thought I’d share how they were made. Put one of each chocolate in a sandwich bag, cut excess plastic from the top of the bag. Wrap the chocolates in 2 pieces of tissue paper. 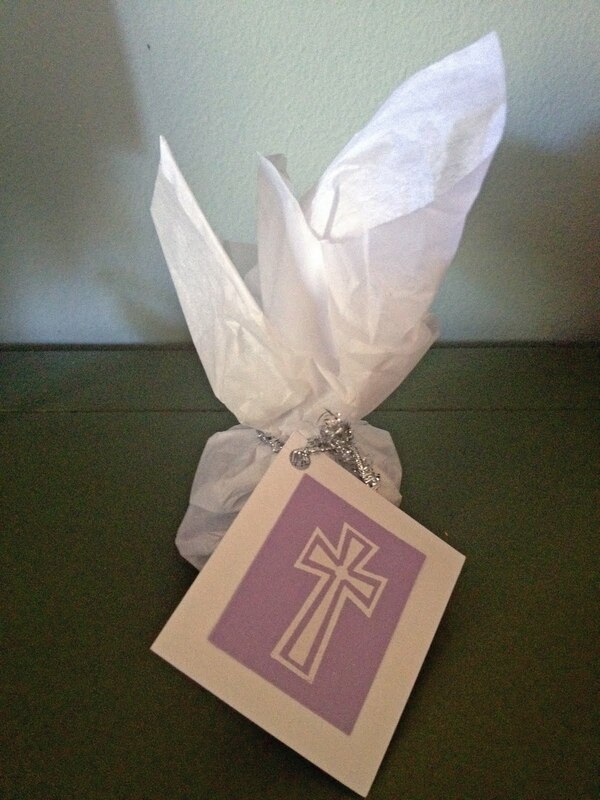 Put ribbon through the hole in a card, then tie around the tissue paper. Fluff the tissue paper above the ribbon. And voila…simple, personal party favors! *After the party I converted the white flower “Christening centerpiece” to a “Holiday centerpiece” by putting the flowers in a red vase! My husband and I are constantly searching for new, delicious, and easy side dishes to eat for dinner. 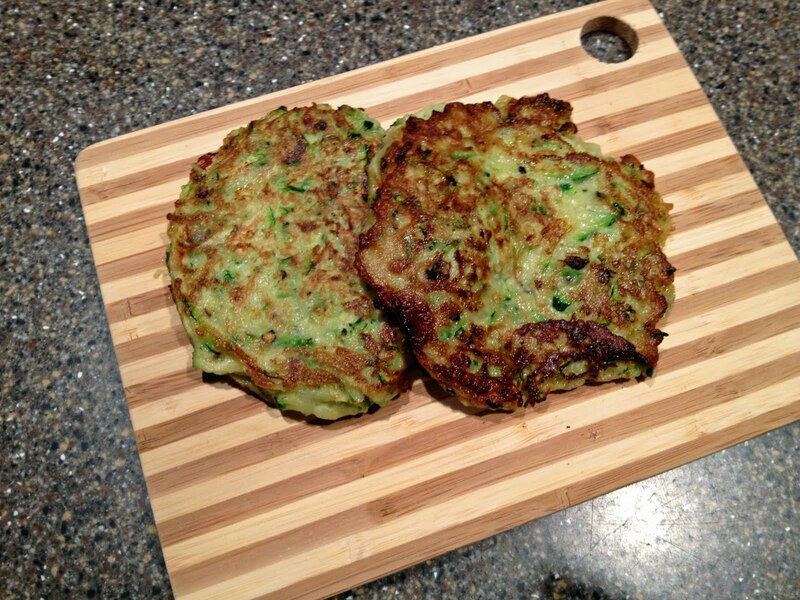 Well, we made these Zucchini Pancakes last night to eat with marinated steak tips and they were really tasty and surprisingly simple to make. We made a half batch of the recipe below and it made plenty for 2 people. Preheat the oven to 300 degrees F.
Heat a large saute pan over medium hear and melt 1/2 tablespoon butter and 1/2 tablespoon oil together in the pan. When the butter is hot but not smoking, lower the heat to medium-low and drop heaping soup spoons of batter into the pan. Cook the pancakes about 2 minutes each side, until browned. Place the pancakes on a sheet pan and keep warm in the oven. Wipe out the pan with a dry paper towel, add more butter and oil to the pan, and continue to fry the pancakes until all the batter is used. The pancakes can stay warm in the oven for up to 30 mins. Serve hot. I was in the market for a little jacket for the winter that I could wear casually – and something that I could easily wash in case of a spit up situation (a new concern to me as a new mommy). Well, I found this little gem at Old Navy and got it on sale for only $29 – a steal! 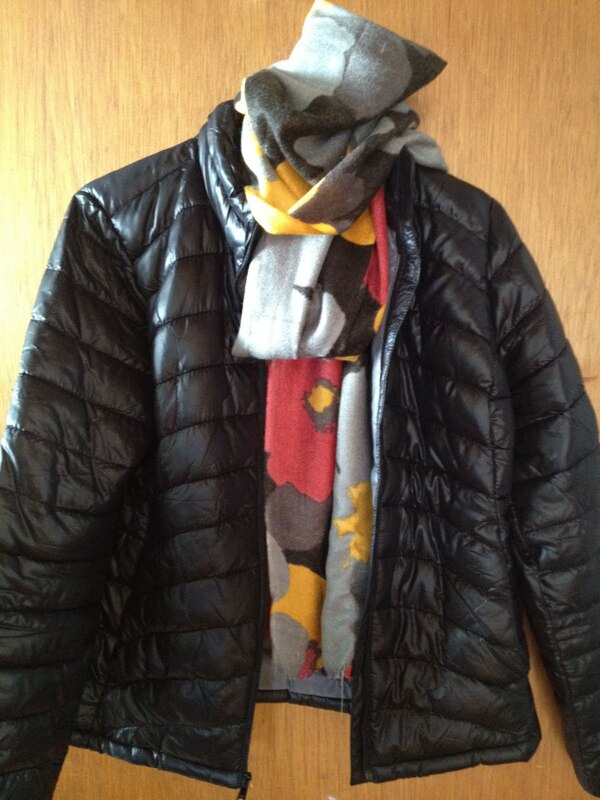 This little puffer jacket does not look cheap for being so inexpensive and when paired with a great scarf (like I have below) is really quite fashionable. And best of all, it comes in petite sizes for us short waist-ed gals and in tall sizes for those who are, well…tall. *And don’t worry, the jacket is not nearly as shiny in person as it looks on their website. Mommy, wife, crafter, home-cook, fashion-obsessed, travel-lover, and I blog about all of the above and more!